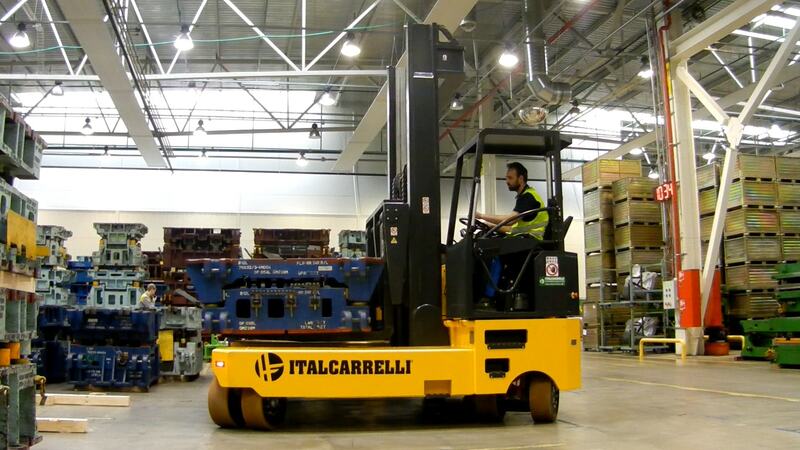 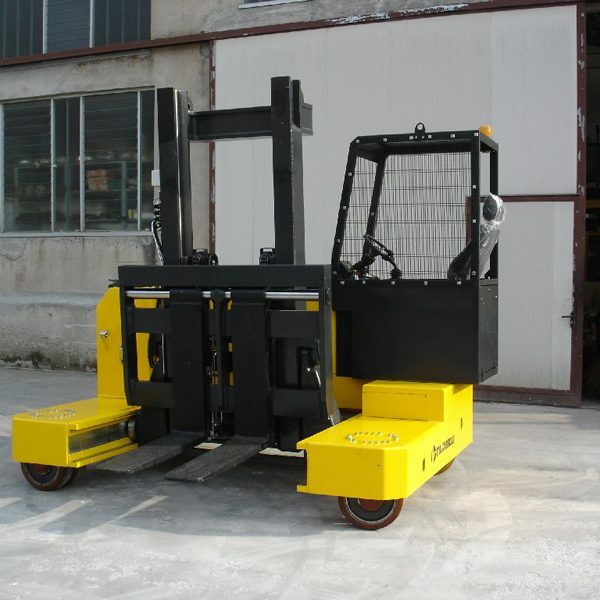 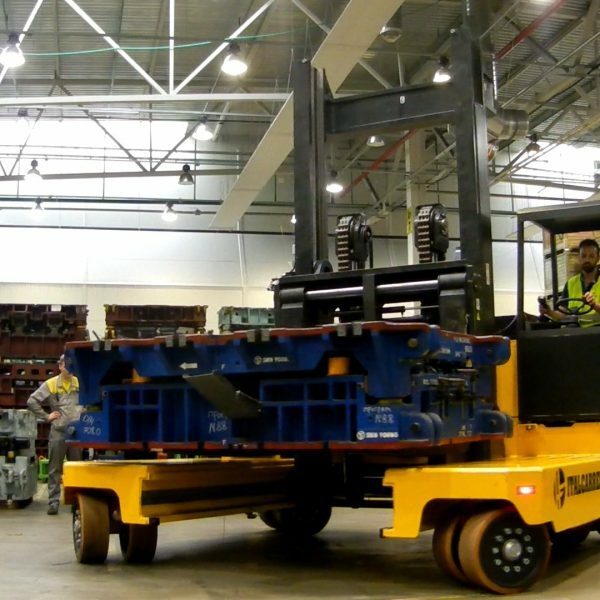 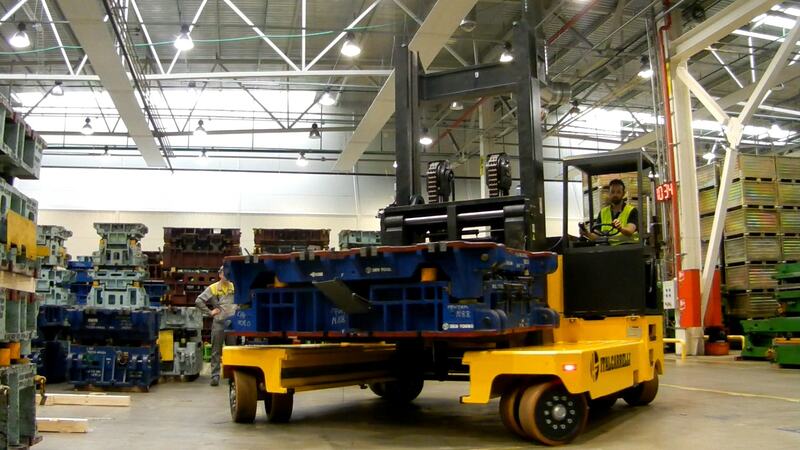 Multi-directional side-loaders are forklift trucks able to move in any direction. 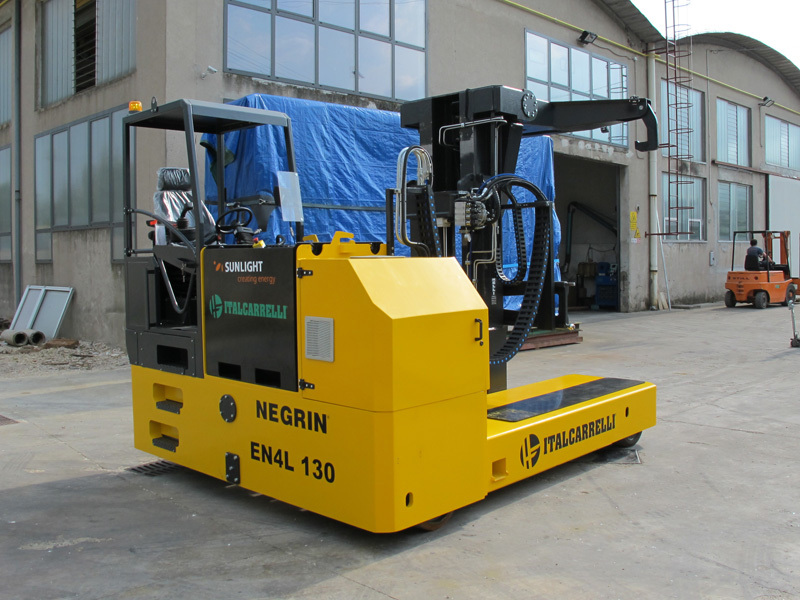 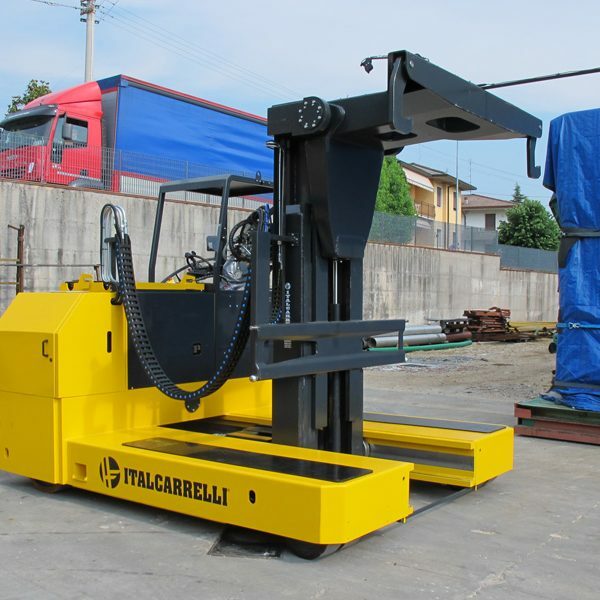 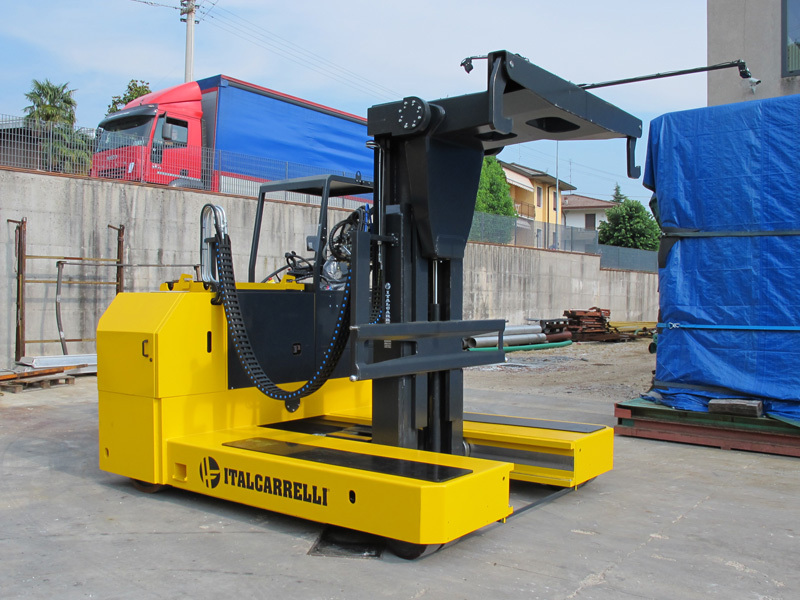 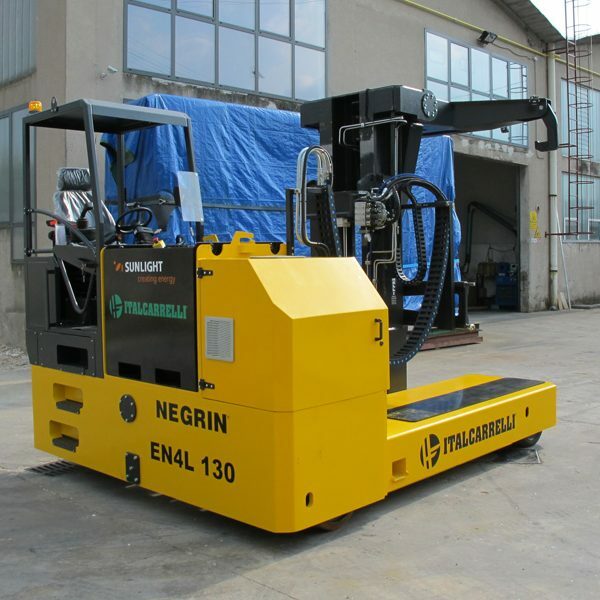 Italcarrelli has specialized in the production of side-loaders of large capacity for special applications such as metallurgy and the handling of coils. 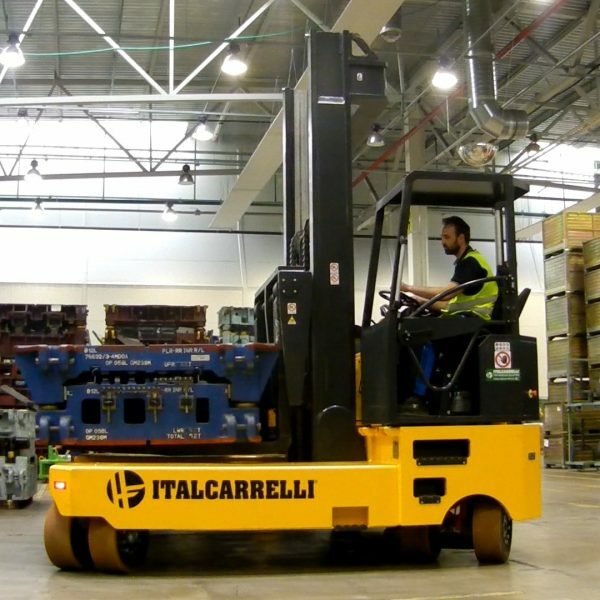 The ability to change direction without having to rotate the load allows these forklift trucks to move quickly and easily in narrow spaces. 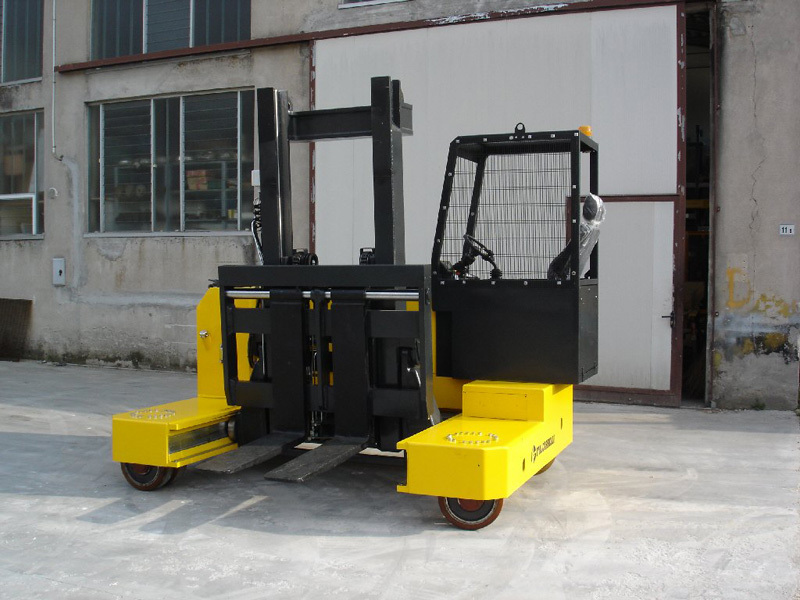 They are available with load capacities ranging from 5 to 50 tons and battery powered versions or versions equipped with diesel and LPG engines. 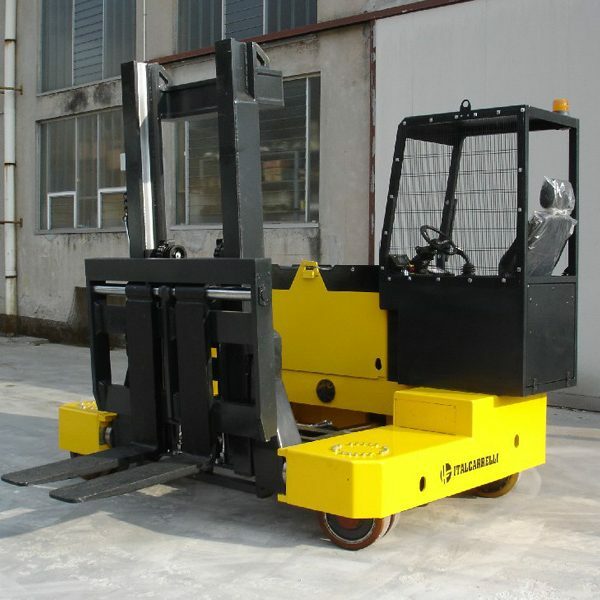 These machines are equipped with multi-function joystick that allows the operator a more simple and comfortable use. 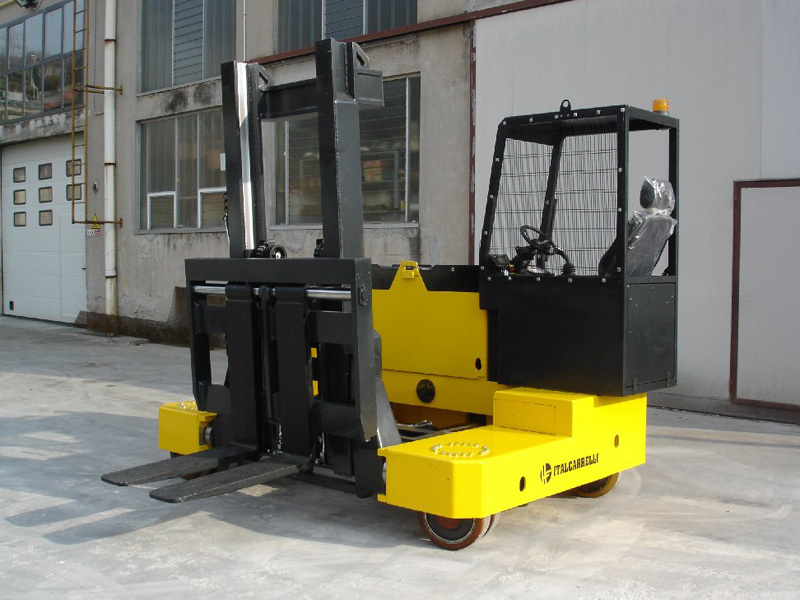 A wide range of special equipment is also available to meet all needs and sensors to automate driving and handling of the material.